In 1979, after graduating from Berklee College of Music, Jerry Sims decided to move to Columbia, SC to open his guitar teaching studio. Jerry and his wife Debbie started out with a small teaching studio with a little shop that sold a few packs of guitar strings. Over the years, the studio grew as well as the retail shop. With a lot of hard work and support from the great music community of Columbia, 35 years later, Sims Music has grown to be the leading music retailer in the Carolinas! Sims has been blessed to have an incredible staff, most of whom have worked at the shop for over 20 years, which has lead to the store being a place where musicians can come to see a friendly and familiar face to help them with their musical needs. Jerry Sims has always wanted to push the quality of the product selection and most importantly the service over the years. As big chains and internet businesses have come onto the scene, Sims has always pushed to be a better and more helpful option for its customers. 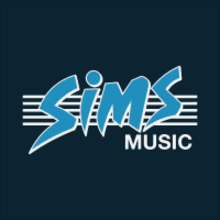 Sims Music may have started as a guitar store, but over the years it has developed into much more. As one of the nations top keyboard dealers, one of the best pro audio departments around, and the leading drum and percussion department in the Carolinas, Sims Music has surely grown to offer selection and service to any musician, no matter what instrument they may play. As the years have gone by, Jerry Sims is still very involved in the store, along with his son Justin Sims. Justin, a percussionist, has helped bring a fresh, modern approach to the store, while still maintaining the original desires and goals of Sims Music; selection and service with a personal touch. Jerry and Justin, along with their incredible staff have continued to prove year in and year out, why Sims Music is the best place in the Carolinas for any musician to find the gear they need, the service they desire, or just a home away from home full of shiny gear and rock n’ roll!